Newcomer Family Obituaries - Harry D. Downs 1956 - 2019 - Newcomer Cremations, Funerals & Receptions. 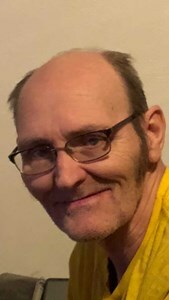 Harry D. Downs Sr., age 62, of Toledo, passed away March 31, 2019. He spent time at the Maumee Children's Home. He attended Maumee High School where he ran track and field and excelled at hurdles. He was very active in Boy Scouts and was able to attend the 1971 Jamboree in New Mexico, he stayed active in scouting with his son Harry. He loved music and loved to dance, he and his wife Sherry took their children to Woodstock in 1994 for the 25th anniversary. He went to the WIOT Birthday Bash with Jeanne. He and his son Harry spent many special times together watching football and WWE. He was a man who would help anyone at anytime. His laugh and jingle of his keys will be remembered for ever. His grandchildren, Rick, Anthony "A-Train", Ana and Dezi, called him "Papa Dude", they were the world to him. He is preceded in death by his parents, Lawrence and Joann Downs, sister, Rebecca Rose Jarrell and brother-in-law, Lyle W. McCullough. He is survived by his wife, Sherry L. Downs, children, Jeanne M. (Richie) Huff, Harry D. (Tina) Downs, II, father and mother-in-law, Leo T. and Betsy McCullough, siblings, John A. (Nancy) Downs, Clova J. (Dan) Arnold, Sheila M. Downs, Mary E. (Chuck) Downs,sisters-in-law, Donna J. Moore, Rose M. (Rob) Guggenbiller and many nieces and nephews and their families. In accordance with Harry's wishes cremation has taken place and there will be a Celebration of Life at a later date. Add your memories to the guest book of Harry Downs. I worked with Harry for 7 years at the nursing home. He was always so kind and nice to me. Even became friends with his son for a while. Wonderful man. Very sad. You all have my condolences. Harry was very funny always joking.Good memories hitch hiking cross country.